The USD 48 Million grants will see road and electricity infrastructure in Tanzania improved. The grants primarily focus on improving infrastructure in the capital, Dar es Salaam. A portion of the grants will support the new Bagamoyo road widening project which has been funded by the Japanese Government and is due to be completed in May. Further funds will be provided for reinforcing power lines and stations in the capital. The Japanese Ambassador to Tanzania, Masaki Okada, emphasized the importance of the expansion of the Bagamayo road for reducing traffic congestion and stimulating economic activity in a recent statement. The Bagamayo road project is being constructed by the Konoike Company at a cost of 91bn/- and is approximately 13 kilometres. 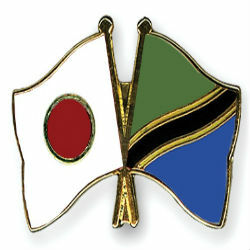 In 2013, Japan announced that Tanzania would be the base for its investment hub in Africa due to the country’s political stability and recent gas discoveries.